Cybercrime is a growth industry; organised crime gangs work round-the- clock to separate firms like yours from your board data and information. 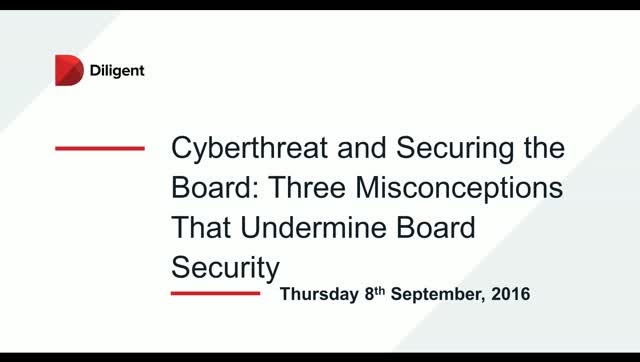 But despite the risks, many boards have been slow to react, putting both the security of the board and the organisation at risk. We understand that an attack on your organisation is likely and that precautions must be put in place to prevent the attack from being successful. Act now, and join our webinar today.